Public sector personnel must operate in an increasingly diverse and socially complex society. The rapid growth of multicultural, multi-lingual low-income children and families warrants a culturally responsive public sector. The reality for public sector personnel is they must serve culturally and linguistically diverse populations often with relatively little training on how to deliver services in an equitable manner. Over the past several years, efforts have been made to integrate cultural competency into the public administration theory and practice, as a fundamental approach to advancing social equity. Today, there is a real need for public sector personnel to work towards improving the lives and livelihoods of those served by regarding the discipline as an agent of change in promoting equity as a path to overcoming the seemingly entrenched disparities and inequalities. To ensure public service personnel can promote equity in the delivery of public service, cultural competency efforts must include cultural humility. Cultural competency implies a basic understanding of different cultures with an ability to respond appropriately, when necessary. To better operationalize cultural competency, cultural humility was introduced in 1998 as a way of thinking differently about working with diverse populations. Cultural humility is a process of refection to better understand cultural differences in order to improve the experiences of vulnerable groups. Working with individuals who may have limited or negative experiences with various groups, facilitators of cultural humility assist in the process of exposing ethnocentrism, racism and other biases. Understanding power and privilege and the context in which they manifest helps those who participate in trainings to better understand the experiences of others. Cultural humility involves three primary steps: a) lifelong commitment to self-evaluation and self-critique; b) addressing and resolving power imbalances; c) partnership and advocacy for others. This type of deep interpersonal and collective work is needed to fuel the societal changes cultural competency has aimed to achieve for more than 15 years. Adopting these approaches are beneficial across a wide-spectrum of public administration areas. In particular, law enforcement agencies across the country continue to grapple with forging trust amid increased scrutiny in the wake of high-profile police killings of Black men. In 2017, law enforcement officers were responsible for 1,147 deaths with Blacks accounting for 25% of those killed despite being only 13% of the population. 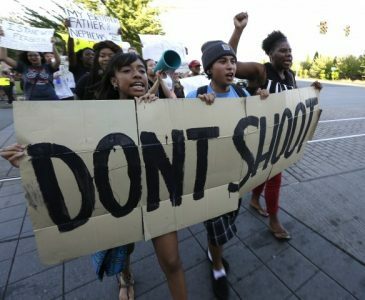 With fewer 69% of those deaths categorized as non-violent/unarmed, some question the use of force against Blacks and the broader impact on Black communities. Since the 2014 killing of Michael Brown, a Black unarmed teenager in Ferguson, MO, the Black Lives Matter Movement has sought to bring continual recognition to the experiences of Blacks and the criminal justice system. 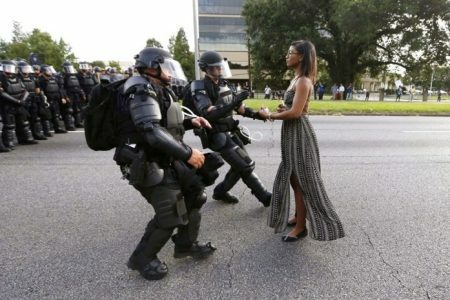 While the use of force by law enforcement officers represents a small proportion of interactions between law enforcement and citizens, the disparate outcomes experienced by people of color warrant attention and action. Due to the historic and on-going experiences between people of color and law enforcement, there is a real need to improve the relationships between the two groups. Increasing law enforcement’s capacity to practice cultural humility is an imperative to this process. The rationale for interjecting this type of training in to the public sphere was best stated in the Department of Justice Report issued following the Michael Brown killing. According to the report, “Ferguson’s police and municipal court practices disproportionately harm African Americans. Further, our investigation found substantial evidence that this harm stems in part from intentional discrimination in violation of the Constitution.” These findings are concerning and are at the core of the cultural humility efforts. In fact, the practice of cultural humility can lead to culturally responsive policies, which are necessary to “Building trust and nurturing legitimacy on both sides of the police/citizen divide… the foundational principle underlying the nature of relations between law enforcement agencies and the communities they serve.” Sustained commitment to cultural humility and the establishment of culturally responsive policies in every public institution can move the U.S. towards a socially just society. Social equity is related to justice and fairness and moves beyond the basic democratic principles of governance. To advance as a society, public administration professionals will need to embrace their roles as agents of change and actively move towards ensuring the administrative process is effective, efficient and equitable. Authors: Vanessa Lopez-Littleton, PhD, RN, is an assistant professor in the Department of Health, Human Services and Public Policy at California State University, Monterey Bay. Her research focuses on social equity, cultural competence, and racial and ethnic health disparities. Julie Burr is a public health professional and Community Coordinator for the Youth Violence Prevention Task Force at the United Way of Santa Cruz County. Her passion lies in working towards equity and thriving for all. Kudos to the authors for emphasizing cultural humility in the process of cultural competency! Several members of the ASPA Section on Effective and Sound Administration in the Middle East have a related manuscript in progress and we welcome future collaboration in this area.